An Amazon brand - This piece's vibrant splashes of color will add zest to any room it decorates. Bright yellow and various blue tones suggest sun and sea, hence its name, "Mojocar," in honor of the beautiful, quaint Spanish city on the Mediterranean Sea. This piece's vibrant splashes of color will add zest to any room it decorates. 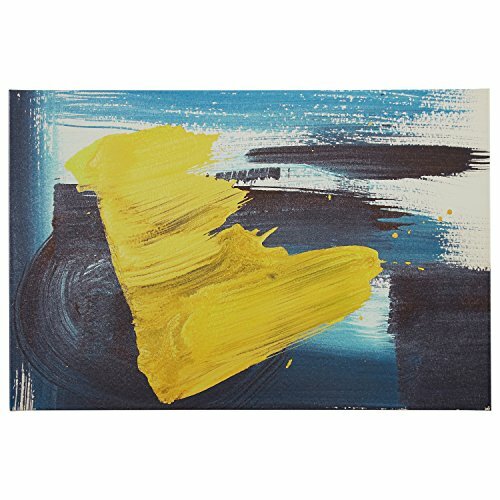 Bright yellow and various blue tones suggest sun and sea, hence its name, "Mojocar," in honor of the beautiful, quaint Spanish city on the Mediterranean Sea.